Keen to know more? Check out Fiona's micro blog of teaching ideas on Facebook 'TESOLTEACHERTALK'. 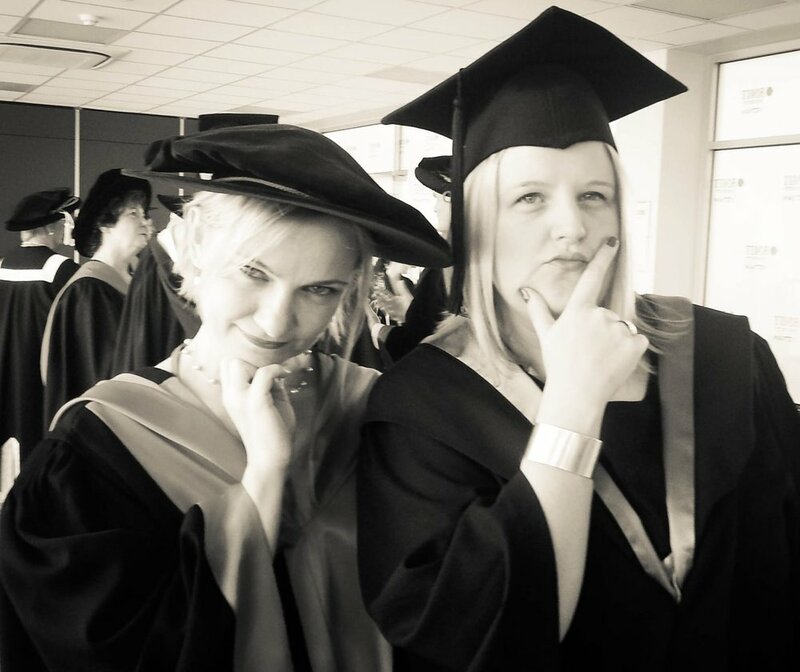 Fiona Wiebusch (right), pondering the quest to achieve a floppy hat (for PhDs) at the RMIT Graduation 2012. "Learning is a life-long process in the teaching profession...."
The statement above is really where my PhD proposal begins, exploring the professional learning of teachers and leaders in tertiary ELT settings. Stay tuned for further ramblings on this theme but for now, let's start with a definition. At its simplest, professional learning refers to learning about your profession, within your profession. It is something most educators do every day as they work together, share ideas, reflect, question and consciously work on improving their practice, knowledge and experience as teaching professionals. The challenge to schools and school leaders is to encourage and implement effective professional learning programs that are meaningful and relevant to their institutional context. So, what does 'good' look like when it comes to professional learning in tertiary ELT settings? Disclaimer: The ideas expressed above are those of the author and are not representative of any institution.